The sixth series of Big Finish’s The Fourth Doctor Adventures range returns to season eighteen with Lalla Ward once more beside Tom Baker and K-9 as the second incarnation of Romana. As the Doctor returns to Victorian London to once more meet up with old colleagues Professor George Litefoot and Henry Gordon Jago, all involved quickly find themselves in the middle of a crime spree that defies logic and brings assumed loyalties into question. Writer Justin Richards has been instrumental in further fleshing out the world and characters of Jago and Litefoot in their own spinoff audio range, and he deftly weaves the Victorian backdrop and gothic horror together once more as so many larger-than-life characters share the spotlight. While there’s no particular reason that Jago and Litefoot have to feature here, Christopher Benjamin and Trevor Baxter are absolutely superb as they once more reprise their now-iconic roles, their presence adding a sense of familiarity and incredible emotional weight as the fantastic events take a rather personal and unexpected turn. The locked-door mystery behind the Knave’s heists is an intriguing enough central premise, but the presence of an unexplained and vicious beast proves to be an even more effective driving force for the narrative. Understandably given the presence of so many key characters in a short, two-part story, the identity of the Knave doesn’t end up being a tremendous mystery, but ultimately that’s not the key point of this story. Instead, the plot focuses much more on characterization and the superb interplay between the characters, and one would be forgiven for thinking that these actors play against each other regularly. While Tom Baker’s later years in the role on television often took on a more sombre and melancholy tone, the return of previous acquaintances brings out a triumphant return to witty comedy as well, and the immense enthusiasm and energy of all involved is clear from the start. The titular Beast of Kravenos is a fairly familiar plot point that pays homage to The Strange Case of Dr Jekyll and Mr Hyde, though the dichotomy of character is given a suitably effective Doctor Who twist to tonally fit in with the story at hand. This also proves to be one of the few stories with a fairly innocuous and happy ending for all involved once the Doctor realizes what is happening and steps in to put things right, one that gives the Doctor a much-needed victory considering the losses that normally follow him about but one that also lacks that extra emotional punch to end an enjoyable tale on a more resounding note. 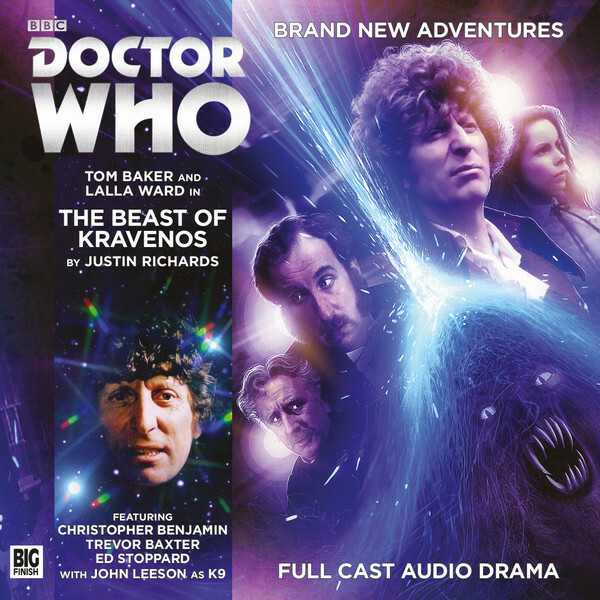 ‘The Beast of Kravenos’ will certainly sate the appetites of Fourth Doctor and of Jago and Litefoot fans alike, and it’s a testament to Justin Richards that this doesn’t end up feeling like a Jago and Litefoot story with Doctor Who elements added given the familiar setting. Instead, the result is a highly enjoyable Doctor Who tale that skillfully incorporates exceedingly popular and confident recurring characters to great effect, though the mystery of the foe’s identity and the ending are somewhat less developed and impactful as a result. Nonetheless, the strong mix of comedy and personal drama help to further elevate a story brimming with great characterization to create a solid opening for this latest run of adventures.